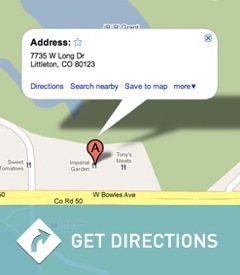 Littleton Dental’s goal is to make our services affordable and accessible to our patients. We accept most major credit cards, including Visa, MasterCard, Discover, American express and CareCredit. We are pleased to offer CareCredit, and Lending Club to our patients. CareCredit is a convenient, no initial payment, low monthly payment plan for dental treatments of $200 to $40,000. CareCredit is a third party financing may be available for patients requiring extensive treatment. This type of financing must be approved in advance. The terms of this contract consist of six equal installments, free of interest or finance charges. The total financed amount however, must be paid in full within 6 months. 10% accounting adjustment is provided to our patients with no dental insurance when fees in excess of $500 are paid in full by cash or check on the day that treatment is presented, or in advance of scheduling the appointment. 15% accounting adjustment for our senior patients (65 or older) who has no dental insurance is provided when fees excess of $500 are paid in full by cash or check on the day that treatment is presented, or in advance of scheduling the appointment.